Bluesmart Luggage Review - Smart Features Worth It? Recently, I had the opportunity to test out the Bluesmart One carry-on for myself. Overall I liked it, but had a few complaints as well. Read on for my full Bluesmart Review. 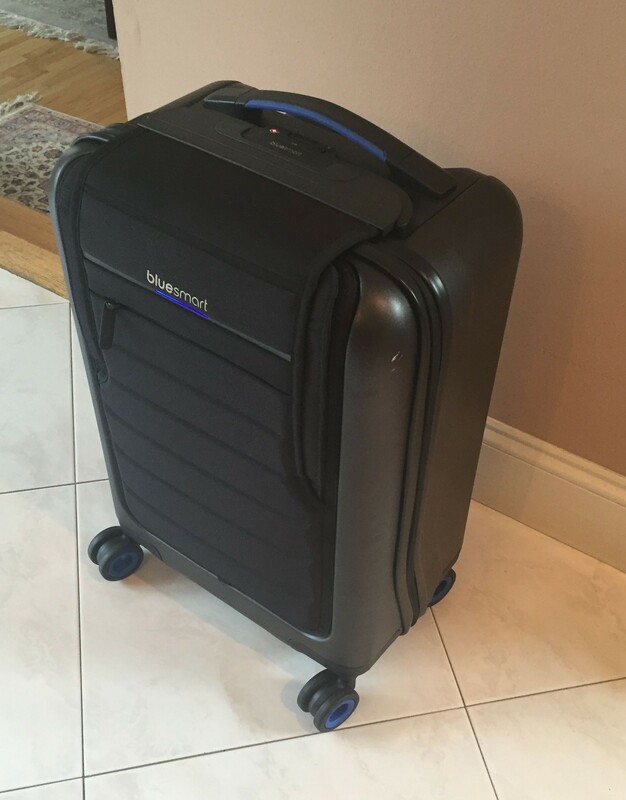 Bluesmart was one of the first to really make a "smart carry-on", making a big splash in the market. Though a nice carry-on with good smart features, in my mind it's a little overpriced compared to other smart luggage options. Although none of the group had a background in the luggage industry, the friends all had extensive experience in product innovation in other fields. 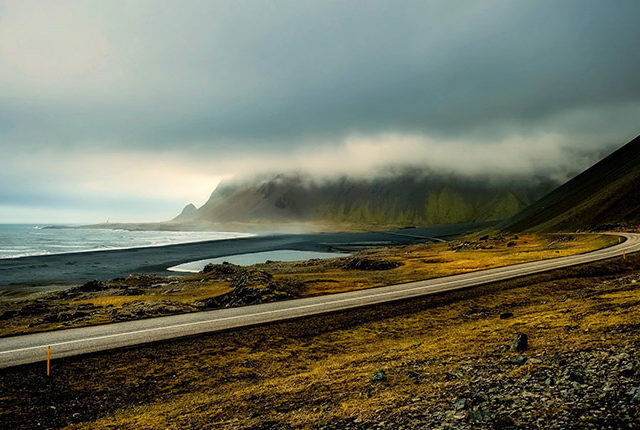 Months of work and a successful crowdfunding campaign resulted in 8,500 backers in more than 100 countries supporting the Bluesmart team in creating this piece. The first thing I did with my Bluesmart was download the app and pair it with my suitcase, which was a very straightforward process, as the app illustrates everything you need to do (check out the video above for how I did it). For the suitcase itself, I used the USB cable charger that came with, plugged it into my wall adapter, and let the suitcase charge. 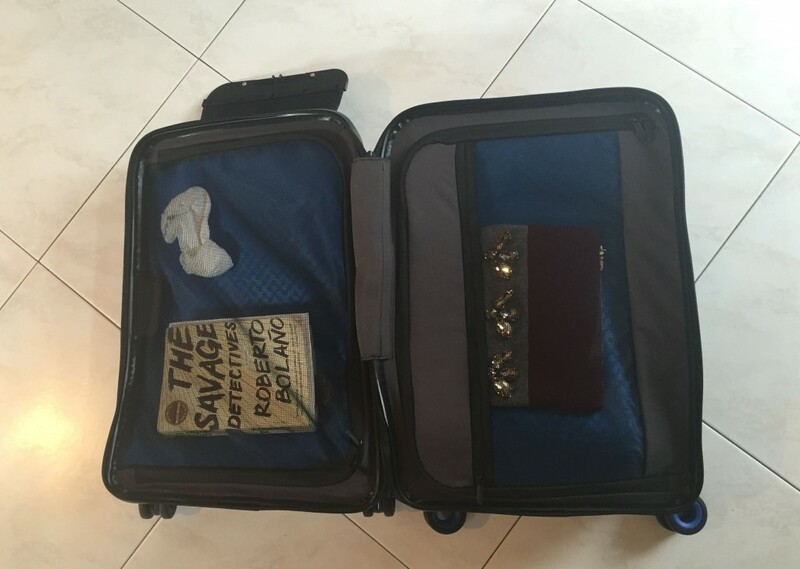 The supporting materials suggested the suitcase will be fully charged after a few hours. The app has an icon where you can check the battery life as well. 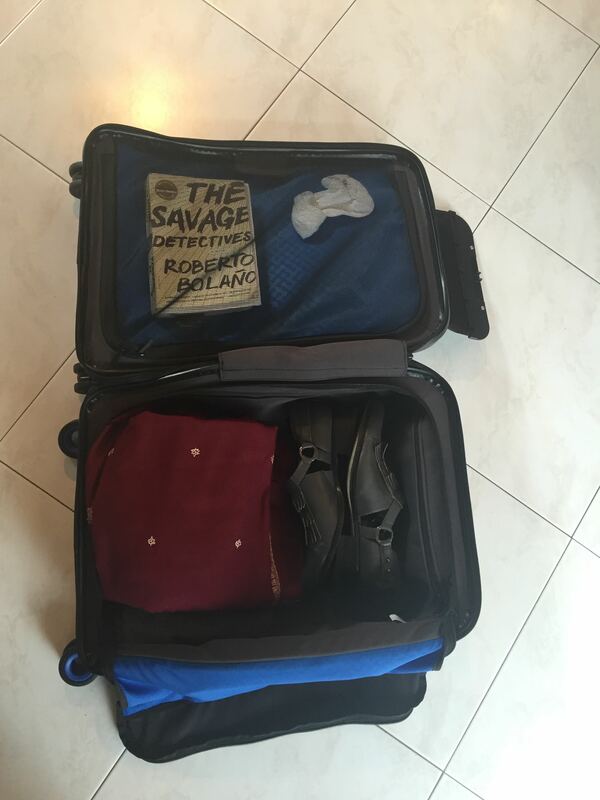 The suitcase’s main compartment provides a good amount of space for clothing, shoes, etc., and the second compartment (which can be accessed easily via an outside flap) could easily fit both a laptop and tablet. I packed up the suitcase with some clothes and got ready to play around with the app, which is very cleanly designed. I tried the built-in scale feature, a technology I haven’t encountered (yet) on other suitcases. As someone who is constantly struggling with getting my suitcases under weight, I think it will be incredibly useful in future travels. The scale feature also comes with another nifty aspect where you can enter your flight number and info to make sure your carry-on is the appropriate weight. You can also input your flight information and ultimately track past trips or share itineraries with friends. My favorite feature involves the USB ports located near the handle. After I knew the suitcase was fully charged, I connected my iPhone 6 via charger to the suitcase and saw that my phone was charging. This is the feature I can see a lot of travelers falling in love with, as while I’ve noticed in recent travels that many domestic and international airports have set up charging stations at gates, these areas tend to get overrun easily. With this feature, you can find a seat, park your carry-on next to you, and charge your phone before evening boarding your flight. A feature I discovered by accident is the push notification to your phone when separated from the suitcase. I had the suitcase in kitchen of my home and as I was heading upstairs to grab my charger, saw that my phone had a notification from Bluesmart reading, “You are leaving me behind :(“. This seems like a useful feature for the more forgetful among us, who might ourselves wandering the duty free section of the airport and inadvertently leaving our bag behind. 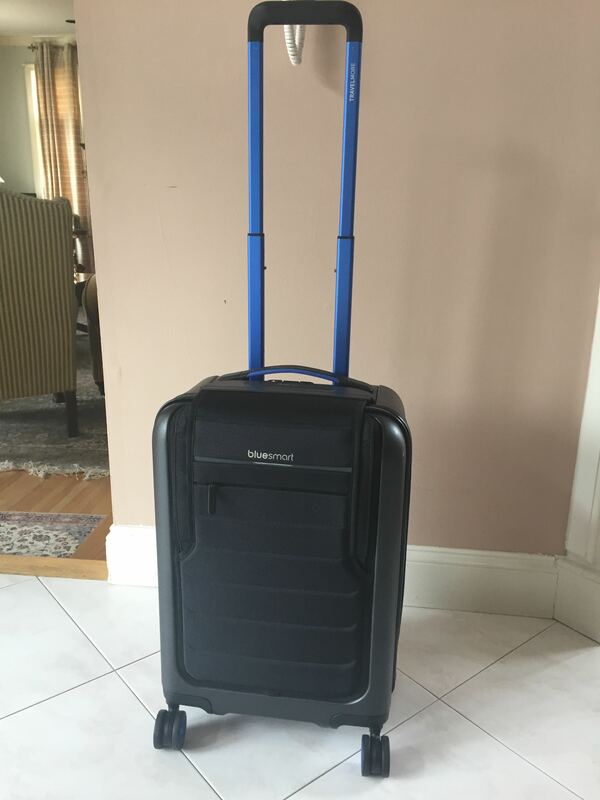 As for the suitcase itself, while my personal aesthetic in the past has tended more toward the vintage/leather look, the last few trips I’ve taken have made me realize that a suitcase like the Bluesmart could be useful. And it’s worth noting that the Bluesmart isn’t REALLY a hardshell/hardside piece of luggage all the way around; there’s a fabric composite flap covering almost an entire side. One potential con is that the Bluesmart’s exterior may show wear and scratches more than others, and while I found it to be durable overall, this side of the exterior (for easy access on the front) is made of fabric; this means it could potentially absorb spills or get dirtier than other suitcases that are completely hardshell. I liked that the fabric could be peeled back for easy access and that I didn’t have to unzip everything to get into part of the suitcase. But if you’re looking for a TRUE hardshell, this may not be the best option. On a recent trip I found myself struggling with my (over packed, of course) duffle bag and backpack during a long layover in another country, where I also had trouble finding a compatible outlet to charge my phone. 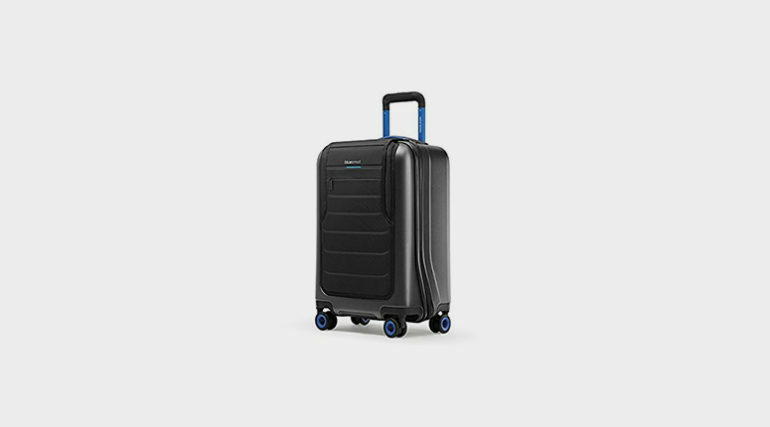 I can’t help but think of how much more pleasant that layover would have been with something in the class of the Bluesmart — the suitcase itself is light-weight and the four-wheel spin makes it easy to cart around. I personally feel the Bluesmart (and its associated features and technology) is worth its $399 price tag, but primarily for the frequent traveler who needs to stay connected. For such folks, the price point is decent, especially considering the innovative scale and lock features. I’ll even admit that for such a “techie” object, I find it to be fairly chic, with a clean, minimalist design. 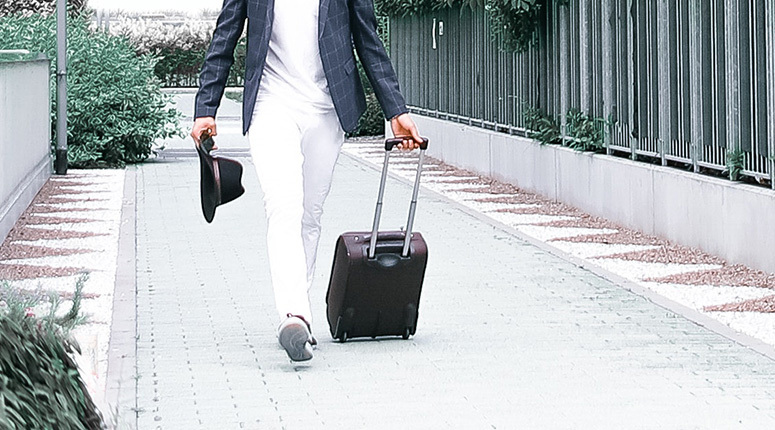 For business travelers, the Bluesmart carry-on packs a lot in terms of the app’s features as well as the lightweight suitcase itself (the features are much more extensive than the Away carry on). 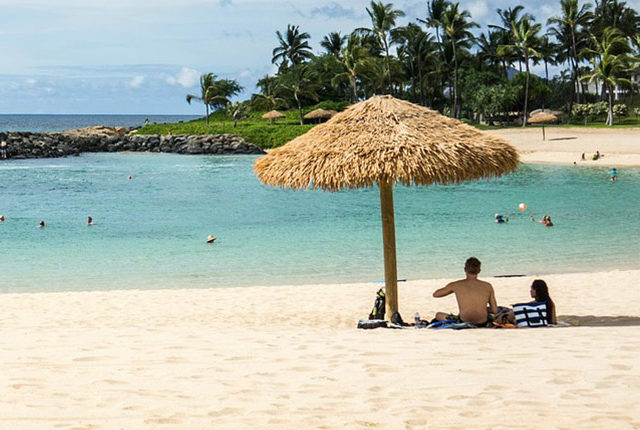 The features, such as the scale, the lock, and most importantly, the fact that the suitcase itself can become a charging station for your devices, are relatively new features in the world of luggage. However, we’re now seeing them more often with Bluesmart’s competitors, and it isn’t the only “smart” option for travelers. 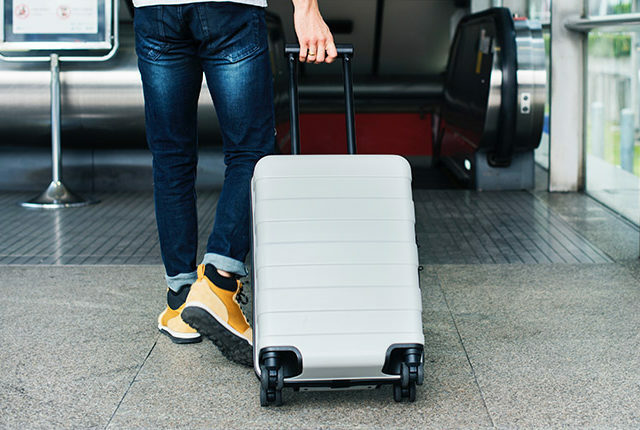 Less frequent or budget travelers should be aware that they may not get as much use out of the techie qualities of this suitcase and weigh those considerations before purchasing. It’s also worth noting that while I liked the Bluesmart overall, it’s not a true hardshell/hardside; this could be a bonus for easy access, but it’s also a potential downside to its durability under harsh circumstances. Ready to Purchase Your Bluesmart Luggage?